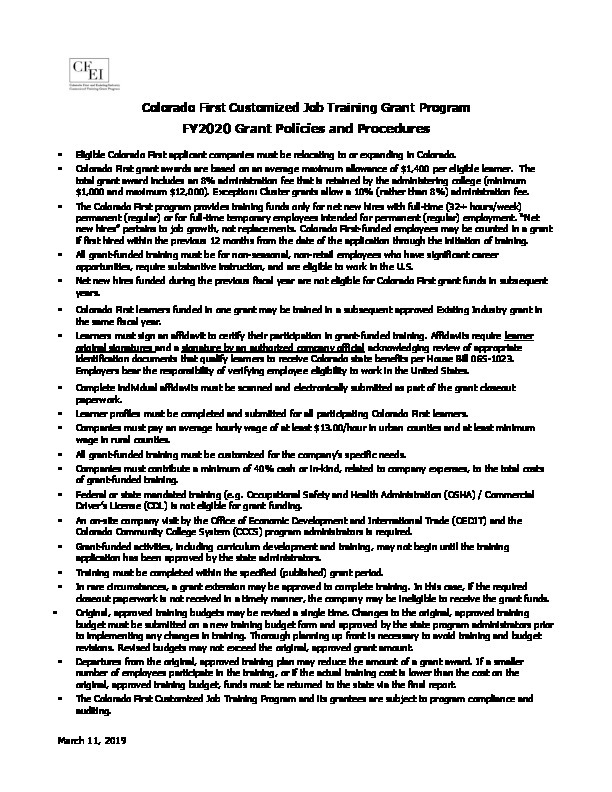 Colorado First and Existing Industry Customized Job Training Grant Programs support Colorado’s workforce development by providing grants to existing companies as well as those locating or expanding in Colorado. 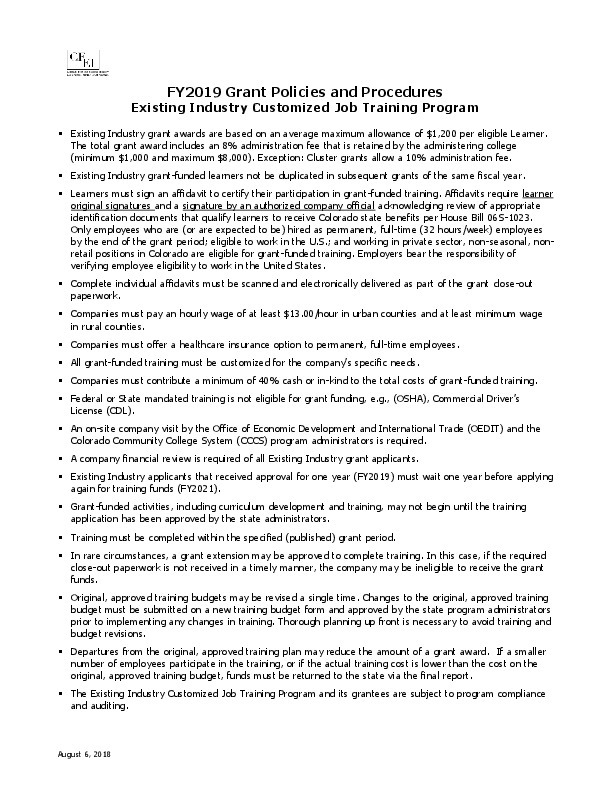 By reimbursing costs associated with job training, the programs increase transferable job skills that both support the company’s competitiveness and enhance worker’s resumes and long-term employment opportunities. 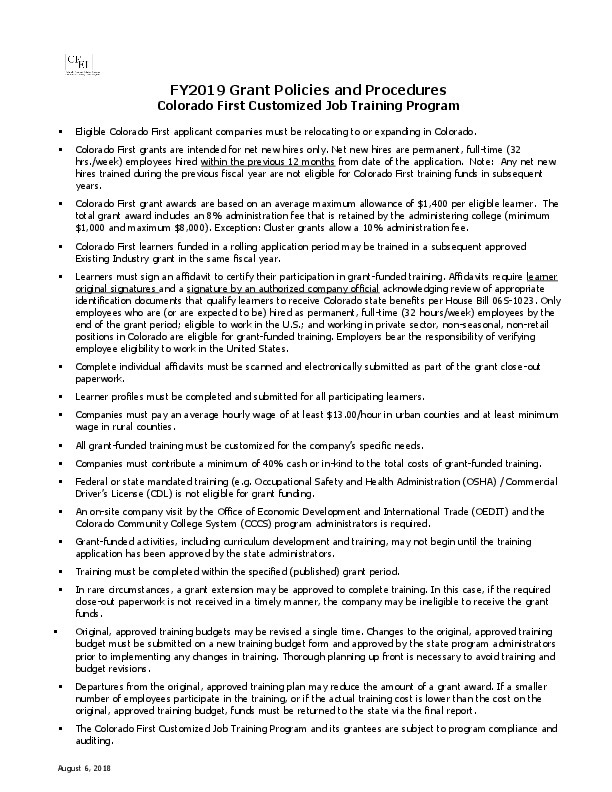 Focusing on companies relocating to or expanding in Colorado, the Colorado First program assists with training funds for net new hires. 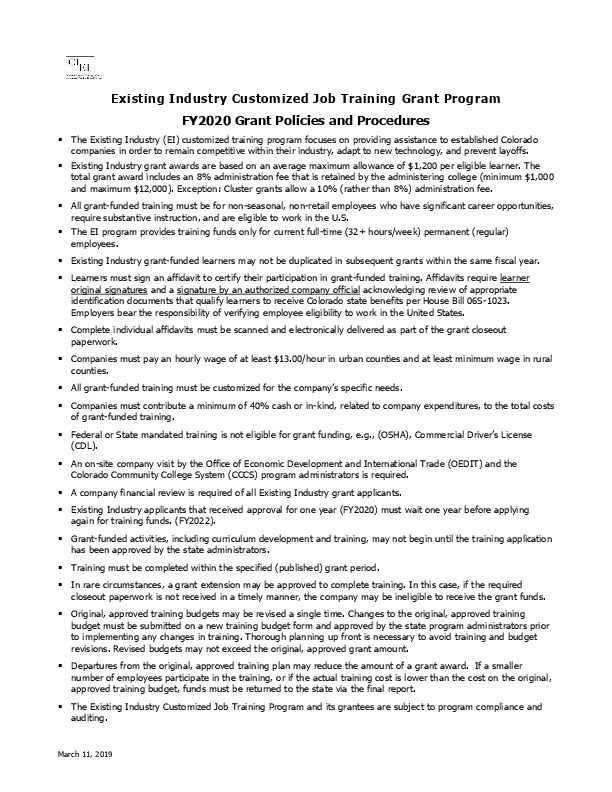 The Existing Industry program focuses on providing assistance to established Colorado companies in order to remain competitive within their industry, adapt to new technology, and prevent layoffs. 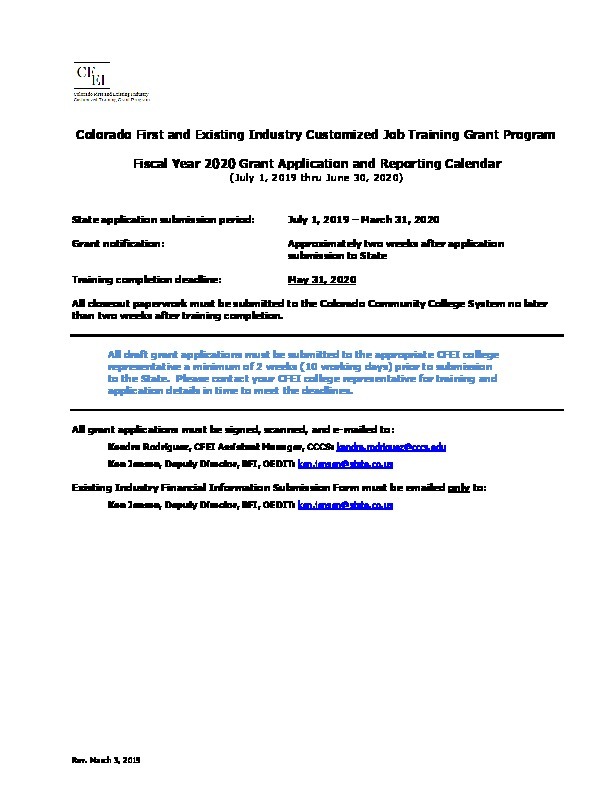 Both programs are jointly administered by the Colorado Community College System (CCCS) and the Colorado Office of Economic Development and International Trade (OEDIT) and managed through participating colleges. 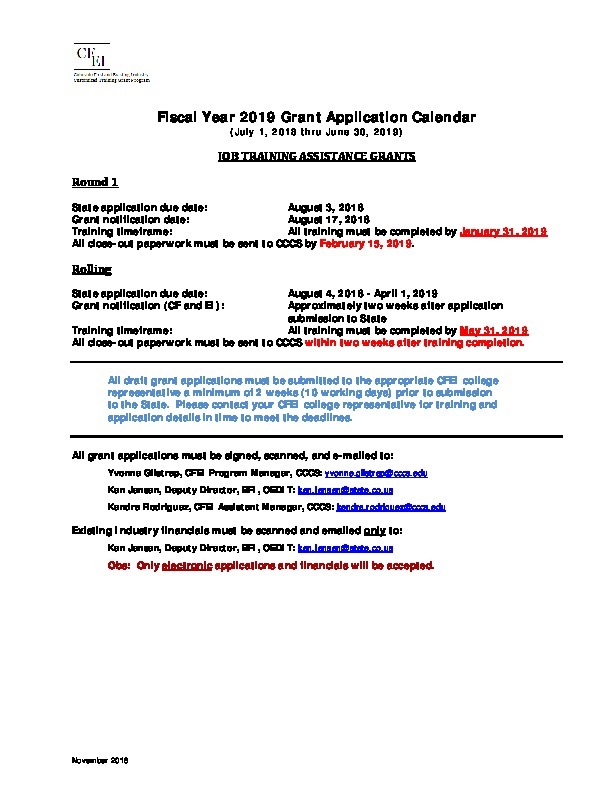 Grants are contingent upon available funding. The first step in the grant application process is to contact your local customized training community college representative for assistance. 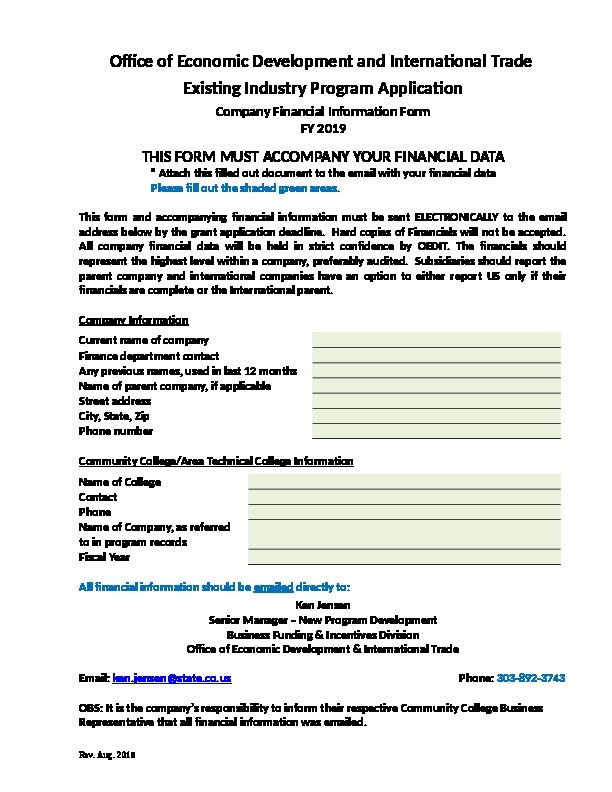 To learn more about the grants and eligibility, view the CFEI Program Fact Sheet.